The gambling industry has taken quite a lift off in recent years, especially since the dreaded financial crisis of 2008-2009. After that, with everyone’s income and stability slowly but surely getting back to normal and above-normal levels, online casinos and sportsbooks appeared seemingly out of nowhere. In those days, a lot of new betting sites appeared all over the place. One of them is Jetbull, born in 2009, headquartered in exotic Curacao and with an European office in Malta, much like most of the other bookmakers we’ve talked about in the past. They’ve started as a casino at first, and added sports betting after a few years, after gaining a good enough fan base for the gambling industry. Slowly but surely, they’ve added service after service and game after game, showing nothing but non-stop growth since they first showed themselves on the UK sports betting market. Sure, they’re not industry leaders at the moment – not by a long shot. But they are surely worthy of a bit of your attention. Get Your £75 Bonus Now! Sportsbook promotions are less in number than those from the casino section, but they are by no means small. The category starts with the welcome bonus for new customer, which is close to the industry average: a 50% bonus up to £75. You can find more detailed review of Jetbull’ sign-up bonuses here, as they have many offers and promotions for new and existing customers, we have decided to dedicate them a whole separate page. Their website is very clearly divided: sportsbook, casino, live games. These are the categories we will also look into, starting with the sports betting section. Nothing really surprised us in terms of selections, with the most common European and World leagues and competitions all present, as well as the most common bets everyone wants. We ran through their offers this weekend and looked at most of the games and teams we were interested in (Manchester United, since we love betting against them, Benevento, for the same reason, and Napoli), and found all the bets we needed. Moreover, we compared their odds with some other bookmakers we’ve reviewed and found no surprises there as well – only small, 0,01 differences, which will mean nothing in the long run. One part of the sportsbook which we thoroughly enjoyed visiting were the tips and live betting sections. Along with some general tips about money management in sports betting and other such pieces of advice, there are tons of in-depth articles on current games and what you can bet. After reading through them, we were impressed with their quality – they’re clearly not written by your average Joe weighting in on one game or another. 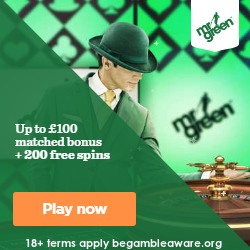 Claim Up To £150 Bonus Now! Jetbull’s casino followed the same general lines. All the games we expected ran in a quick and elegant fashion. There were lots of games to play, from traditional casino experiences to the most unique slot games you can possibly think of. We took advantage of one of the free spins offers which was online for existing customers and had an absolute blast for an hour or so – without any big winnings, sadly. But we have to say, the promotions found in the Jetbull casino are more than enough to entice even those players who don’t usually like opting in for bonuses. The sportsbook bonuses are all right as well, but the casino ones are something else – starting with the 100% deposit bonus of up to 150 Euros or Pounds. Their live casino works extremely well too. Here you can play classic games like Blackjack, Roulette, Hold’em, Poker or Dice with live dealers. The experience is almost live-like, a feat which can be explained by the extremely well-balanced and well-optimized website. All in all, Jetbull has provided us with great experiences across all games. Now was the time to figure out how they plan to handle our money. Being the modern broker that they are, Jetbull has a plethora of ways which you can use to deposit and withdraw your funds. Sure, you can use a debit or credit card, no surprise there. They also accept all major e-wallets, such as Skrill or Neteller. But unlike other bookmakers, they also accept PaysafeCard, WebMoney, DotPay, Fundsend, Trustly, and a few others as well. We must confess, we have no idea what half of the companies listed under their “ways to deposit money” section do. This was the absolute first time we’ve heard about them. Regardless of the way you choose to deposit or withdraw your money, rest assured that this operation will happen swiftly and securely. After all, Jetbull brag with a 10-second registration process. Jetbull’s terms and conditions are also not something particularly different or impressive but should warrant a read before opening an account. We recommend giving special attention to the deposit and withdraws part of the terms and conditions, especially if you plan to use any other method except a credit card. Most bonuses do not apply for funds deposited through more exotic methods, and it’s best you know these conditions before being disappointed you missed a bonus. If you do have questions, however, rest assured that there are people hired at Jetbull which are more than eager to answer them for you. Jetbull are reachable by online chat and e-mail. The e-mail address where you should address your questions is [email protected], while the live chat is from Monday to Sunday, between 7:00 and 23:00 UK time. We recommend using the live chat for any communication, since it’s a lot easier to get the job done. Of course, following the bookmaker’s social media accounts can also keep you up-to-date on the information you need to know. To sum up, Jetbull is surely a bookmaker which you can’t go wrong with. We’ve found a lot of quality browsing through their website, their promotions and talking to their customer support. The mobile app deserves some praise as well, although we haven’t mentioned it very much during the review. All in all, we consider them a very serious betting site, which might not attract as many customers as it wants but will surely keep the ones it does attract. Opening an account with them is bound to bring hours and hours of fun, and quite possibly a few extra bucks as well.